Our Ethos: post-19 year olds should expect high quality, great learning experiences, while having a ton of fun. Mia Langley, has many years’ experience working in special education & believes everyone has a right to continue to grow and meet new people and have FUNTASTIC FUTURES. We are deeply passionate about our young people and will ensure they continue to thrive and grow and find their AWESOME. We will inspire and enthuse our young people to develop their independence skills. 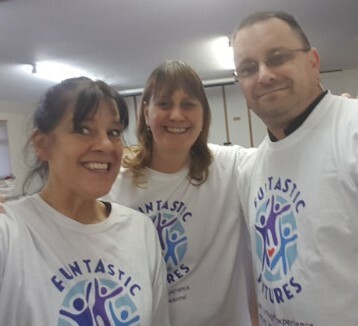 FUNTASTIC FUTURES is a Company based in East Preston, West Sussex, offering stimulating, well planned activities for special adults that will expand their independence skills and creative talents. We are passionate about developing communication and independence skills through high quality, exciting cookery and creative arts’ projects for young people and adults with learning disabilities. • Young peoples’ personal communication systems will be at the forefront and kept current and up dated. © 2017 All images are the property of Funtastic Futures. All rights reserved.